Partly cloudy. Windy this evening. Low around 40F. NNW winds at 20 to 30 mph, decreasing to 10 to 15 mph.. Partly cloudy. Windy this evening. Low around 40F. NNW winds at 20 to 30 mph, decreasing to 10 to 15 mph. 1850. The word “Gelbvieh” is pronounced Gelp-fee and, in German, means “yellow cattle.” The color of the first cattle was yellow-brown with dark hooves; through breeding, polled and black cattle are now usual. As is common among early cattle breeds, Gelbviehs were bred to be used for their milk, beef, and as draught animals. 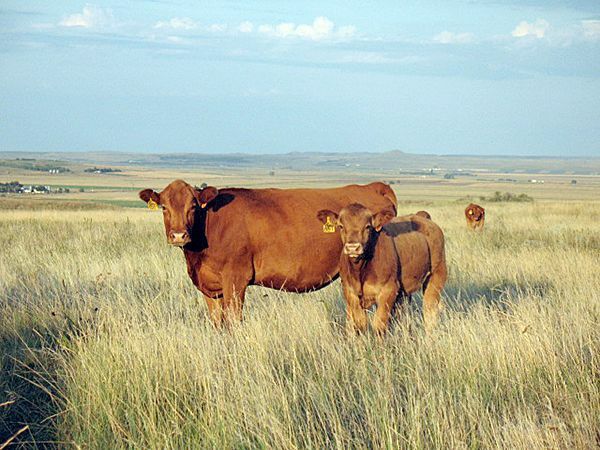 Not only is their bred rate higher, Gelbvieh cross cattle reach puberty earlier. Heifer calves sired by Gelbvieh bulls cycle as much as two or three months faster than other cows, Warner said. The Warner family has been in the cattle business since the early 1960s, starting with a commercial herd. When Dan showed 4-H cattle, his dad happened to buy an open heifer from a Gelbvieh breeder, and their work with the breed began. Now, his parents, Monte and Kristie Warner, he and his wife, Kate, and his brother Darren and his wife, Amy, operate the farm, which includes the registered herd of Gelbvieh and Balancer cows and bulls, a commercial herd, and row crops. They hold an annual bull sale each year on the first Tuesday in March and a female sale the last Saturday in October. Dan and Kate won the 2018 AGA’s Breeder of the Year Award; at the 2019 National Western Stock Show in Denver, they raised the champion pen of five heifers, the champion pen of five balancer bulls, and owned part of the national champion bull. Bruce Blickenstaff has been raising Gelbvieh cattle for the past 10 years. Blickenstaff, who raises cattle and row crops near Wilsonville, Neb., started with them for “the extra kick out of the heterosis,” he said. When he started crossing Gelbviehs with Angus, he saw an increase in weaning weight. Because the grass isn’t high quality in his part of Nebraska, he was concerned about the size of the mature cows, but it wasn’t a problem. “We might even have lessened our mature cow size,” he said. He also sees more cows bred with the Balancers. They run a 60-day breeding period, and there’s a higher breed rate than before he started with the Balancers. The Blickenstaffs — Bruce and his wife, Darla, and their son Chris and his wife, Molly — wean calves in early September and sell them as feeders. 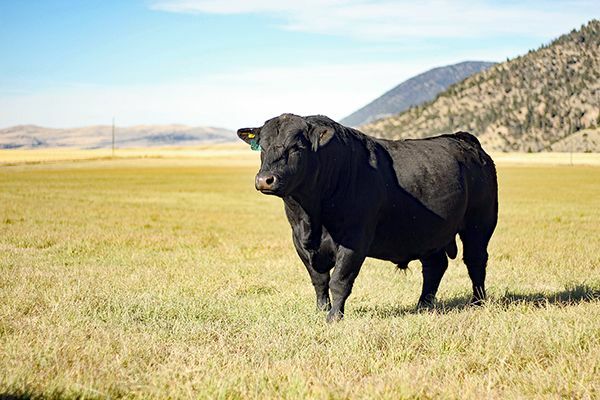 The AGA is the largest Gelbvieh association in the world and ranks fifth in the number of registered animals among beef breed associations in the U.S.